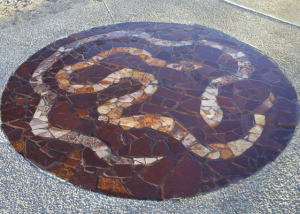 Since 1999, Janie has created site-specific mosaic artworks for public and private settings in the UK and in Australia. 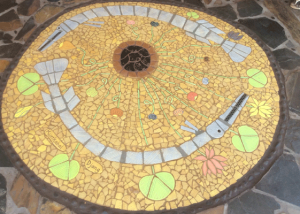 Whilst the majority of Janie’s mosaics have been with tiles and handmade ceramic details, mosaics have been made in other appropriate materials such as slate and brickwork. 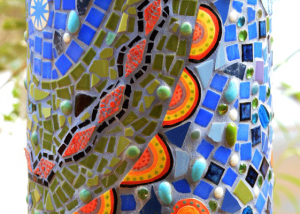 The handmade tile pieces create a totally unique feature to the tile mosaics. 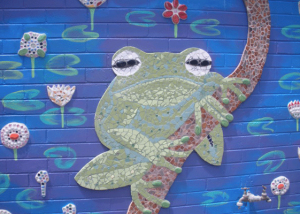 Clay is cut out or moulded with 3D relief work, then painted with ceramic underglazes. The work is then glazed and fired in the kiln. 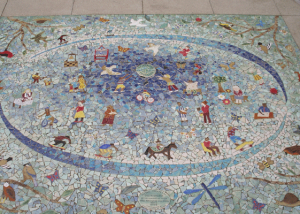 The completed details are then assembled into a mosaic with surrounding tiles. For wall mounted artworks, an eclectic mix of media can be used for the surrounding tiles such as glass and ceramic tiles and baubles. 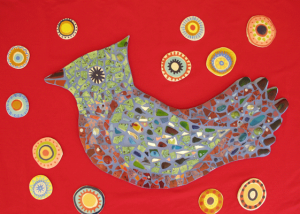 Janie produces bespoke mosaics for private individuals, public artworks and commercial organisations, schools and communities. 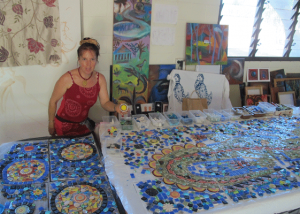 Janie enjoys the process of the artwork evolving, from the initial consultation and design stage, through to the production of ceramic details. 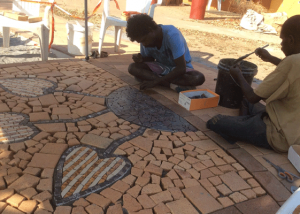 In school and community commissions, Janie believes it is important to reveal the process of producing high quality completed artworks. The process of creating the work and the end result are both important. Installation of the final piece. Contact Janie to discuss various options. 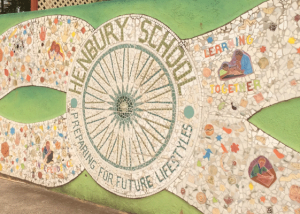 There is flexibility in the price on school and community commissions.